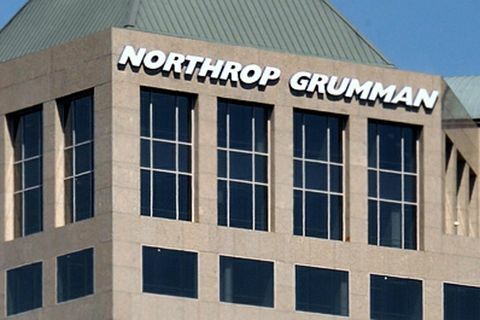 FALLS CHURCH, Va. – July 29, 2015 – Northrop Grumman Corporation (NYSE:NOC) reported second quarter 2015 net earnings increased 4 percent to $531 million, or $2.74 per diluted share, from $511 million, or $2.37 per diluted share in the second quarter of 2014. This quarter's results include a $38 million, or $0.20 per share, net tax benefit for additional research credits. Second quarter 2015 diluted earnings per share are based on 193.7 million weighted average shares outstanding compared with 215.2 million shares in the prior year period. The company repurchased 6.8 million shares of its common stock for $1.1 billion in the second quarter of 2015. As of June 30, 2015, the company had repurchased 54.3 million shares toward its previously announced goal of retiring 60 million shares of its common stock by the end of 2015, market conditions permitting. "Our team continues to create value through strong operational performance and effective cash deployment. Going forward we will continue to focus on portfolio, performance and cash deployment as value creation drivers for our shareholders, customers and employees. Our portfolio affords us a unique and robust opportunity set, and we are optimistic about our future," said Wes Bush, chairman, chief executive officer and president. Second quarter 2015 segment operating income was unchanged from the prior year, and segment operating margin rate increased 30 basis points to 12.6 percent. Operating income declined 1 percent and operating margin rate increased 20 basis points to 13.8 percent. Total backlog as of June 30, 2015, was $37.0 billion compared with $38.2 billion as of December 31, 2014. Second quarter 2015 new awards totaled $4.6 billion, and new awards for the first six months totaled $10.7 billion. Second quarter 2015 cash provided by operating activities before after-tax discretionary pension contributions increased to $626 million from $572 million in the prior year period. Updated 2015 financial guidance incorporates the impact of the company's $500 million discretionary pension contribution in the first quarter of 2015. In addition, the company now expects an effective tax rate of approximately 32 percent for 2015. Guidance for 2015 operating margin rate, effective tax rate and cash metrics incorporates year-to-date results, as well as the effects of an anticipated change in tax methods that is expected to improve the company's cash from operations while increasing its unallocated corporate expense and effective tax rate in the second half of 2015. Second quarter 2015 operating income decreased 1 percent and includes a $29 million decrease in net FAS/CAS pension adjustment and a $22 million decrease in unallocated corporate expenses. The decrease in unallocated corporate expenses is principally due to a reduction in reserves for overhead costs. For the second quarter of 2015, federal and foreign income tax expense declined to $205 million from $245 million in 2014, and the company's effective tax rate decreased to 27.9 percent from 32.4 percent in 2014. This quarter's lower effective tax rate reflects a $38 million net benefit for additional research credits claimed on prior year returns. Aerospace Systems second quarter 2015 sales were slightly higher than the prior year period due to higher volume for unmanned and space programs, partially offset by lower volume across a number of other programs, primarily the F/A-18 in manned military aircraft. Higher unmanned sales reflect higher volume across a number of programs, including Global Hawk. The increase in space programs reflects higher volume for restricted activities. Aerospace Systems second quarter 2015 operating income increased 11 percent and operating margin rate increased 120 basis points to 12.8 percent principally due to risk retirements on a restricted program. Electronic Systems second quarter 2015 sales decreased 3 percent, primarily due to lower volume for land and self-protection systems and airborne tactical sensor programs, partially offset by higher volume for navigation and maritime systems and combat avionics programs. Electronic Systems second quarter operating income decreased 9 percent, and operating margin rate decreased to 15.7 percent due to business mix changes, which resulted in lower volume for mature fixed price production programs and higher volume for cost-type development programs, as well as less favorable performance for land and self-protection systems. Information Systems second quarter 2015 sales decreased 5 percent, primarily due to declines in command and control programs, including lower volume for the Consolidated Afloat Network and Enterprise Solutions program, the impact of in-theater force reductions, and completion of the Ground Combat Vehicle program. Information Systems second quarter 2015 operating income decreased 2 percent, and operating margin rate increased 30 basis points to 10.1 percent. The increase in operating margin rate was primarily due to program completions and improved performance across the portfolio. Technical Services second quarter 2015 sales decreased 2 percent principally due to lower volume for the ICBM program and completion of the Combined Tactical Training Range program, partially offset by higher volume for international programs. Technical Services second quarter 2015 operating income and margin rate were comparable to the prior year period. Northrop Grumman will webcast its earnings conference call at noon Eastern time on July 29, 2015. A live audio broadcast of the conference call will be available on the investor relations page of the company's website at www.northropgrumman.com. This press release and the information we are incorporating by reference contains statements, other than statements of historical fact, that constitute "forward-looking statements" within the meaning of the Private Securities Litigation Reform Act of 1995. Words such as "expect," "intend," "may," "could," "plan," "project," "forecast," "believe," "estimate," "guidance," "outlook," "anticipate," "trends," "goals," and similar expressions generally identify these forward-looking statements. Additional information regarding these risks and other important factors can be found in the section entitled "Risk Factors" in our Form 10-K for the year ended December 31, 2014 and as disclosed in this report and from time to time in our other filings with the SEC. Free cash flow: Cash used in operating activities less capital expenditures. We use free cash flow as a key factor in our planning for, and consideration of, strategic acquisitions, stock repurchases and the payment of dividends. This measure should not be considered in isolation, as a measure of residual cash flow available for discretionary purposes, or as an alternative to operating results presented in accordance with GAAP. Free cash flow is reconciled in Table 2. Net FAS/CAS pension adjustment: The difference between pension expense charged to contracts and included as cost in segment operating income in accordance with U.S. Government Cost Accounting Standards (CAS) and pension expense determined in accordance with FAS (GAAP Financial Accounting Standards. Net FAS/CAS pension adjustment is presented in Table 1. New Awards — Total backlog as of June 30, 2015, includes $4.6 billion and $10.7 billion of estimated contract awards in the three and six months ended June 30, 2015, respectively.